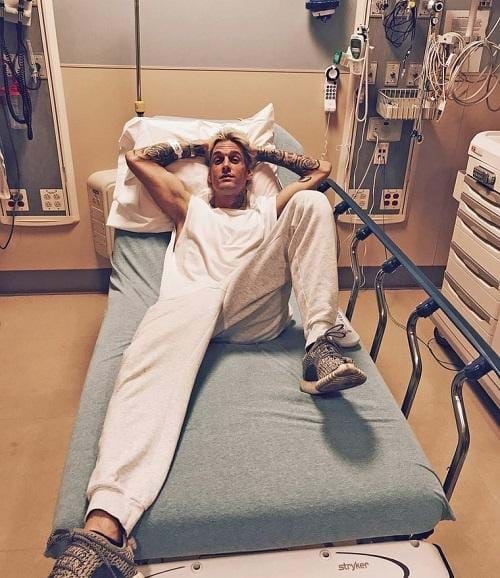 Aaron Carter has been admitted to hospital following a series of body shaming incidents from followers. He captioned it saying “Lots of shows lately, had to head up to the ER just to get a little check up, these shows are crazy lately, gotta make sure I stay strong. I’ll recover." This comes after the 29-year-old had posted a series of tweets opening up about his health and incidences with body shaming. "I'm entirely hurt by a so-called fan that I just encountered she wasn't realising I was listening, she said I look like I have cancer. "I've literally had the hardest week of my life, my dad past away my late sisters birthday anniversary was June 6th & people #BodyShame me. I’m sorry I'm not fat enough. For my fake fans." Aaron revealed in April that he had been diagnosed with a hiatal hernia at the age of 19 which led to his slim physique. “I’m bullied and body shamed by the world. “A grown woman was gossiping bout me w I have a eating disorder telling people I need to eat 5 cheeseburgers cause I look like I'm dying. Aaron’s Twitter account has now been deactivated. Sam Smith ends up in hospital while on holiday in New Zealand!